A major nationwide study has shown that more than 50 percent of the working population is not engaged in their work. Our labour force is changing: working people are less motivated, want less responsibility, are less educated, and are widely diverse in age, background, and lifestyle. At the same time, organizations are struggling with hiring and retaining qualified workers. Building a high-performance, fully engaged workforce means an organization must analyze and prepare a plan to attract and retain the best employees who will become engaged and deliver results. "More than 50 percent of the working population is not engaged in their work." As corporate decision makers, you are faced with many challenges in building, growing, managing, and engaging talent. Measuring employees' attitudes, motivations, and beliefs toward their employers, current managers, and job functions is a critical first step toward building a high-performance workforce and enhancing and improving the engagement levels within an organization. The PROFILES WORKPLACE ENGAGEMENT SURVEY™ is an employee reality check-up. This unique survey is designed to measure employees' engagement levels and their total workplace experiences. It also indicates job satisfaction and the work environment of staff members within an organization. The information collected in this survey provides leaders with a vital perspective on the current reality in their organization’s workplace and areas of concern affecting the total workplace experience. 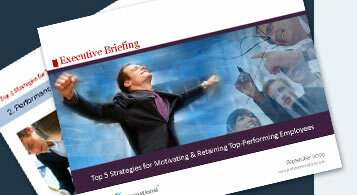 Organizations can use this as a road map for developing a highly engaged and motivated workforce. The Team Analysis Report is a powerful feature of the PROFILES WORKPLACE ENGAGEMENT SURVEY™. It is designed to help managers form new teams, reduce team conflict, improve team communication and leadership, and improve the ability to anticipate problems. The PROFILES WORKPLACE ENGAGEMENT SURVEY™ is a DISC-type assessment that reveals aspects of an individual's personality that could impact with their fit with their manager, coworkers and team, and their job performance. It is used primarily for motivating and coaching employees and resolving post-hire conflict and performance issues.